SANTA FE, N.M. — New Mexico would become the first U.S. state to set up its own government-operated marijuana stores and subsidize medical cannabis for the poor under a bill brokered between Republicans and Democrats, as a new wave of states weighs legislation that would legalize recreational sales and consumption. Those provisions were sown into Democrat-sponsored legislation that contains currents of social justice, including a provision to subsidize medical cannabis for poor people with "debilitating medical conditions" who might not otherwise be able to afford treatment. Tax dollars from recreational marijuana sales would fund employment and counseling programs in communities "disproportionately affected by past federal and state drug policies," including training to enter the marijuana sector. "It's not a priority," said Democratic Sen. John Arthur Smith of Deming, who will decide whether the marijuana bill is heard by the Senate Finance Committee, a final hurdle before a Senate vote. Smith does not favor legalization and worries about harmful effects of marijuana on the brain. Sen. Peter Wirth, the chamber's Democratic majority leader, believes legalization would prevail in a floor vote. He said support from a contingent of Senate Republicans has redrawn the political battle on marijuana along generational lines rather than partisan affiliation. Wirth also called the concept of state-run pot shops — that would sell marijuana on consignment without owning or producing it — a political game changer that allays anxiety about welcoming the nation's rollicking, multibillion-dollar marijuana industry. In addition, marijuana production licenses would come with an in-state residency requirement of two years. "It puts some parameters around it," Wirth said. "The state can monitor what it looks like and how it expands." Democratic Gov. 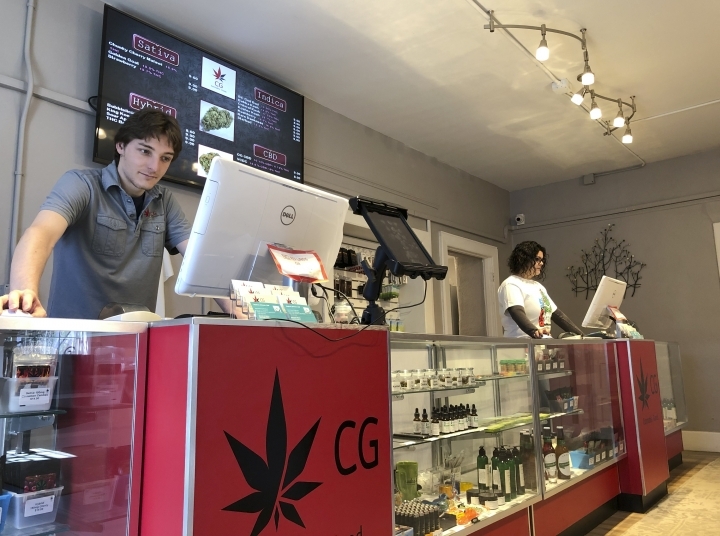 Michelle Lujan Grisham has expressed guarded support for recreational marijuana — provided the legislation addresses concerns about child access, impaired driving, workplace safety and safeguarding the state's existing marijuana market for medical patients. "If the Legislature can check those boxes, bring it on," Nora Sackett, a spokeswoman for Lujan Grisham, said in an email. New Mexico has watched neighboring Colorado's pioneering decision to legalize and tax marijuana with a mixture of apprehension and envy, as lawmakers in Santa Fe struggle to find stable sources of tax revenue to improve public education and raise teacher salaries. The judiciary is threatening to intervene in school funding decisions, citing inadequate educational opportunities for children from poor and minority families. New Mexico would levy a 17 percent tax on recreational marijuana sales and allow possession of up to 1 ounce (28 grams). Local governments can opt out, forgoing tax proceeds in the process. State tax proceeds would fund detection technologies and training for police to identify impaired drivers. Businesses could maintain "zero-tolerance" policies for drug testing as a condition of employment. Sponsors say the bill would safeguard New Mexico's medical marijuana program by removing taxes on medical pot to keep down prices and ensure its 70,000 participants don't flock to the recreational market. At least four other states forgo taxes on medical marijuana. New Mexico also would authorize marijuana consumption "lounges" for smoking and vaping — or eating any number of marijuana-infused confections and foods — though the bill offers few details on regulatory oversight. "You drive through Anonito and you used to not even have a gas station, and now it has four marijuana shops," said Pirtle, describing a Colorado town of 750 residents near the New Mexico state line. "I know in my district that's not what they want downtown to look like, so this would help." "Is this really the job of government, to make this more available?" he said. House Democrats in New Mexico, where ballot initiatives aren't available, say they spent years exploring policies and tax provisions for a bill that now includes funding for research on the health effect of legalization. 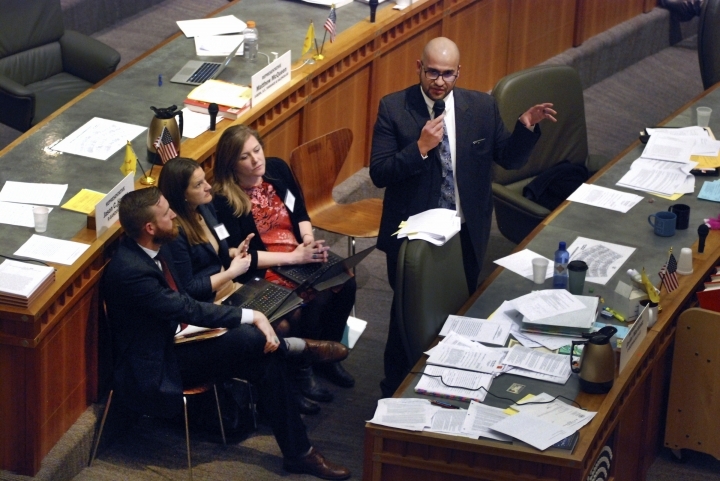 "One of the benefits of doing it through the legislative process is you just jump into the nuanced details," said Emily Kaltenbach, state director of the nonpartisan Drug Policy Alliance that favors decriminalization. "You iron those out." 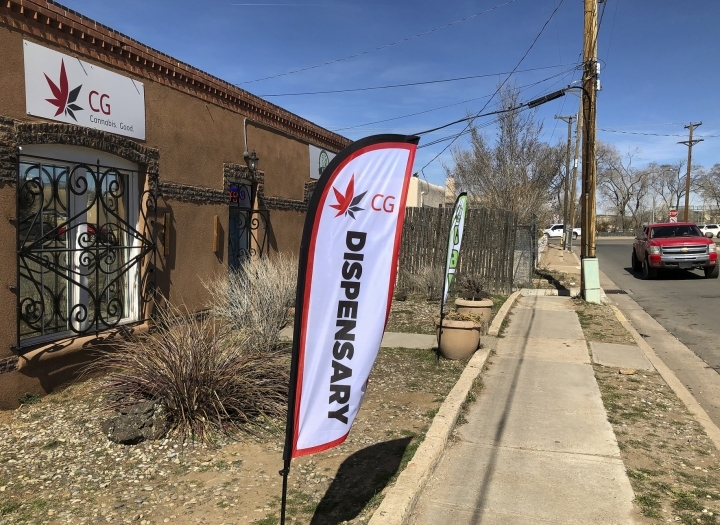 The measure's opponents include the local Roman Catholic diocese, New Mexico's primary chamber of commerce and many medical marijuana companies that are scrambling to decipher what the future would hold with an unlimited number of licensed commercial producers. "The price of cannabis is going to go down, which is good for the patient," said Erik Briones, who owns a business that produces and sells about $5 million worth of medical marijuana products a year. "But you still have to stay in business. We're the ones that build this thing. We need some protection."